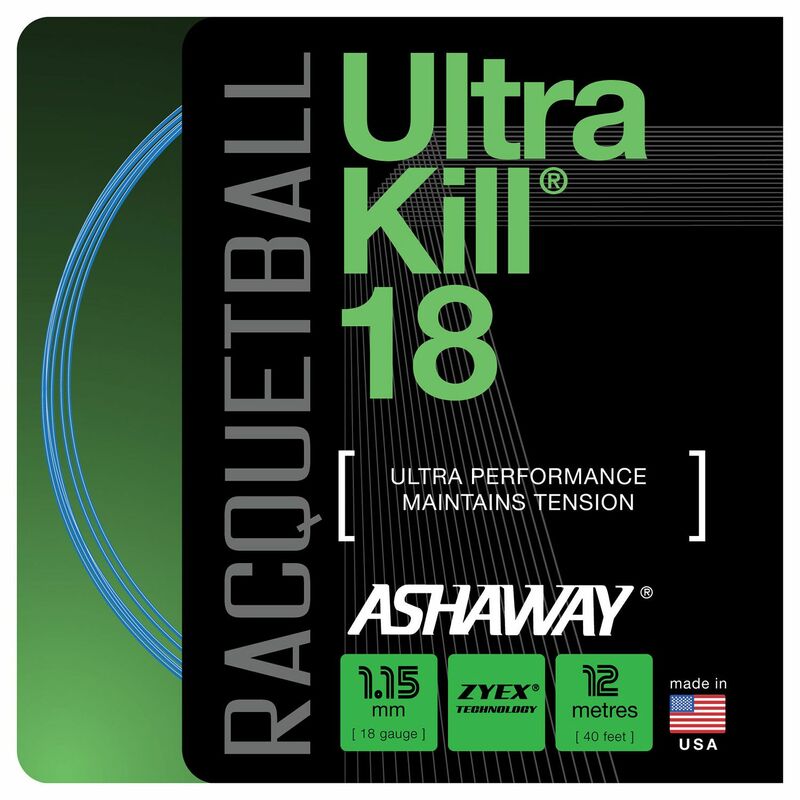 The Ashaway UltraKill 18 racketball string set has a diameter of 18 (1.15mm) and features a high tenacity monofilament nylon wear surface and the Zyex Core. The string delivers explosive power and resilience together with a soft feel and is suitable for top amateur and professional players. It is supplied as a 12m (40ft) set. for submitting product information about Ashaway UltraKill 18 Racketball String Set We aim to answer all questions within 2-3 days. for submitting product information about Ashaway UltraKill 18 Racketball String Set. We aim to answer all questions within 2-3 days. If you provided your name and email address, we will email you as soon as the answer is published. for submitting product review about Ashaway UltraKill 18 Racketball String Set.